The Gilbert ® Fine Mesh Ball Bag is a fine polyester mesh bag, ideal for all teams/clubs/coaches for training and match days. Black with white Gilbert logo. Drawstring closure with toggle fastening. Drawstring can also be used for carrying the bag or hanging it up in storage. 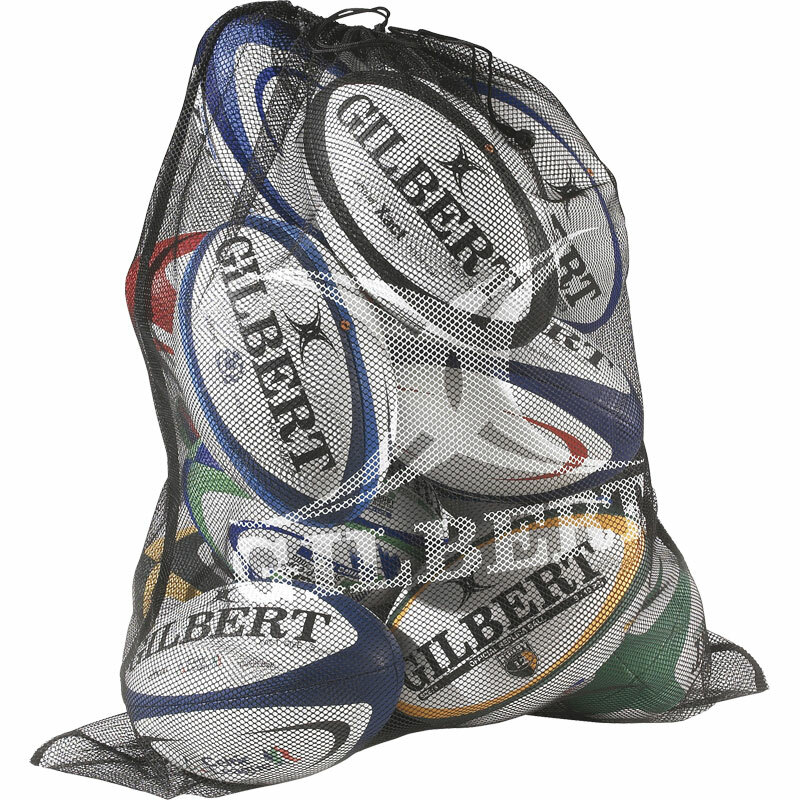 Holds up to 10 fully inflated size 5 rugby balls or netballs. 5 out of 5 Very Happy! Bought Gilbert Mesh bag, great quality, Does exactly what I need and have already recommended a friend... Very Happy! Will be back soon. Gilbert Mesh ball bag was a little big for our (domestic) use, but it is a great product. Good value. Inexpensive way to keep garage tidy. Five pounds well spent . I would recommend the Gilbert Mesh bag to any one with loads of balls.